This highly detailed Ice Cream Cart will impress guests and friends with a realistic design and props to your visitors. 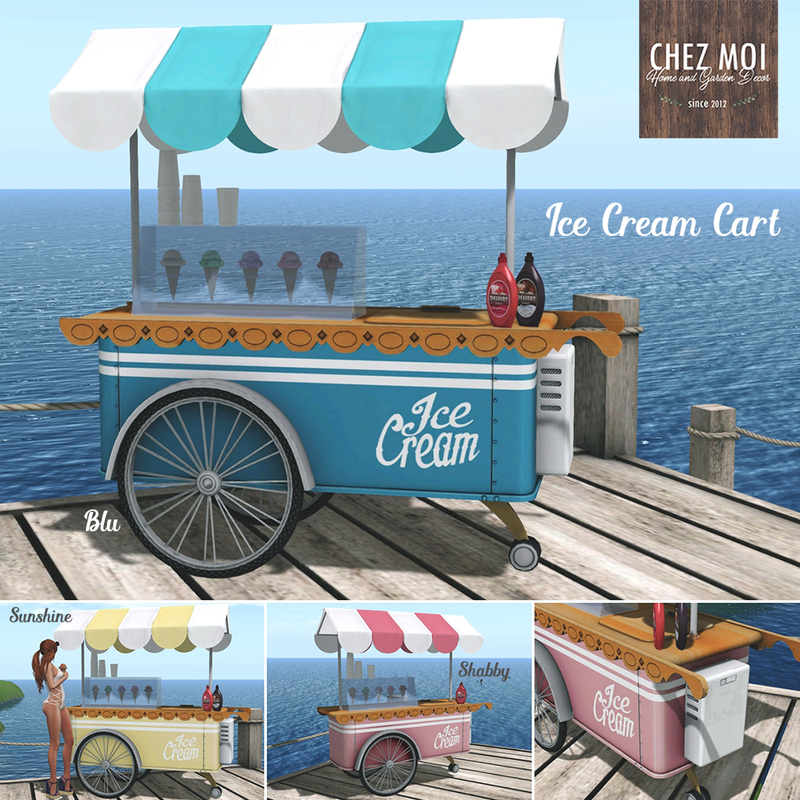 Touch the cart to display the ice cream menu: 7 flavors to choose. Available for sale in 3 versions: Blue, Sunrise, and Shabby. This release is available on CHEZ MOI MARKETPLACE, or for a closer look visit our IN-WORLD STORE.